I have my Tin Lizzie Sit Down Queen Quilter 18 and table for sale. I am original owner, having purchased her November 2010. 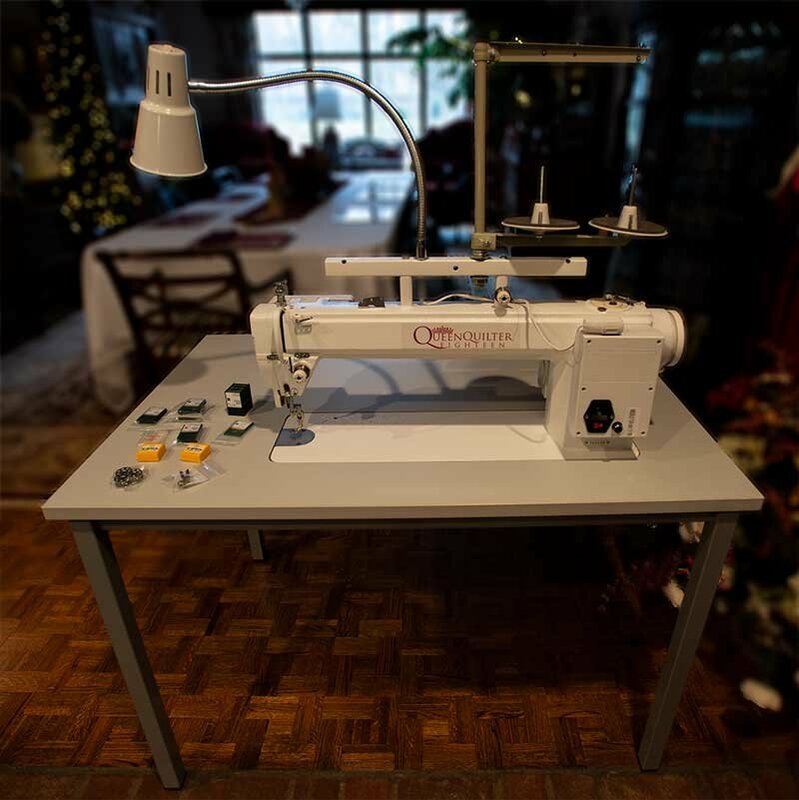 My husband surprised me with a new computerized machine for Christmas so I am letting her go as I have no room or need for two quilting machines. Local pickup only. I am in the Oklahoma City area. Includes her box and all the “bits” she came with, as well as the manual. Includes approximately $250 worth of extras for FREE. She has served me well these past 7 years, has no known issues, and is in excellent shape. I have not ever had her serviced because, well, she hasn’t needed it. I have taken good care of her, keeping her clean and well oiled and never had a moments mechanical problem with her. Zero problems! A great machine and I hope she goes to a wonderful new home. 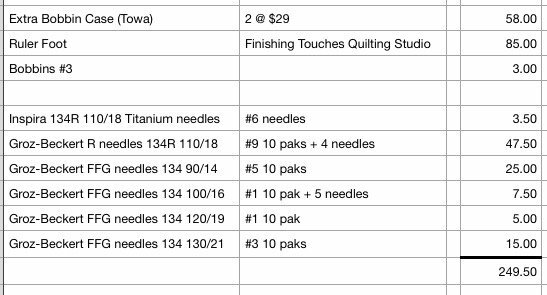 I am including about $250 in extras FREE that will not work with my new machine. 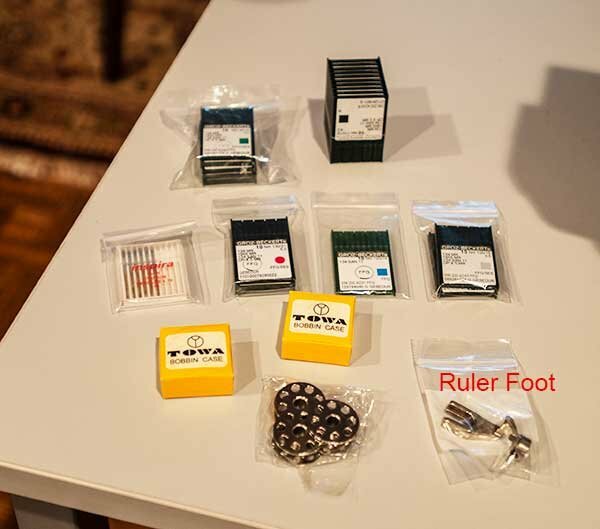 This includes needles, 2 extra Towa bobbin cases and a ruler foot. See pictures. Is this still available and where are you located? Sorry for delay in answering. I was out of town. Yes she is still available. I am in the Oklahoma City area.